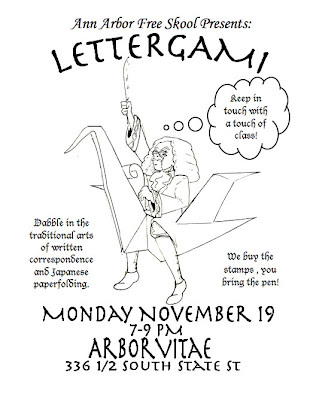 Do you like letter writing and/or paper folding? 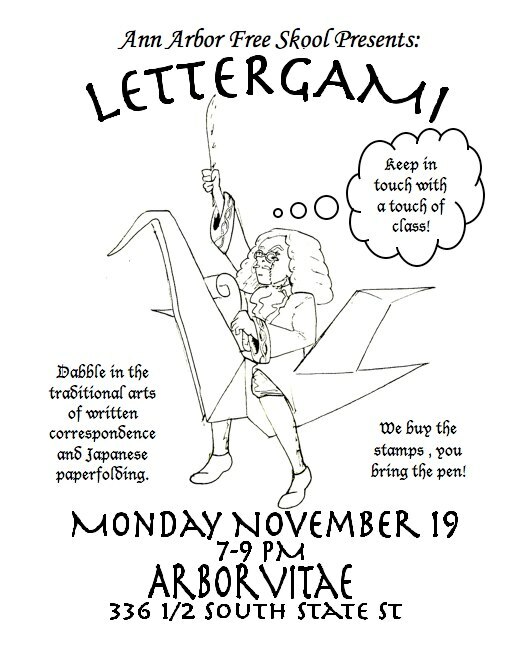 Then perhaps Lettergami is for you. It meets today at the Arborvitae on State Street. Not the sneaky pregnancy crisis clinic on Liberty at State. Isn't it a little confusing that we have two such different Arborvitaes in such close proximity? Perhaps one should change its name to Thuja occidentalis.